Carlyle Crockwell was born in Bermuda in 1932, a great-grandson of the first Crockwell a Barbados born seaman and steam-engineer and settled in the British Overseas Territory was Robert Nathaniel Crockwell (Also known as Robert Hughes). All the Crockwells’ descend from the children of his paternal grandparents,Bermudian born mariner Robert Randolph Clark. Crockwell and his wife born Angeline Eleanor Wilmot, raised their family in North Shore, Devonshire in the shadow of Prospect Camp. His grandmother’s father David Wilmot, had been posted to the Bermuda garrison as a private soldier in what was to become the Duke of Cornwall’s Light Infantry. Carlyle, like many of his relatives, emulated his military forebears by serving part-time in the army. His great-uncle,Adrian Wilmot(one of Bermuda’s noted entertainers) severed on the Western Front during the First World War as a Gunner in the Bermuda Contingent of the Royal Garrison Artillery (a draft from the Bermuda Militia Artillery (BMA). Carlyle’s father, Robert Nathaniel later served in the BMA. Carlyle followed in his footsteps and served throughout the 1950’s. He rose from the rank of Gunner to Sergeant by 1958, and stayed involved with the affairs even after he was discharged. 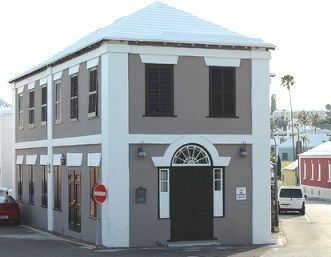 The ExArtillerymen’s Association was formed during the two World Wars by former soldiers who at the time had to commute to St. Georges’s Barracks, the location of the Bermuda Branch of the Royal Artillery Association . 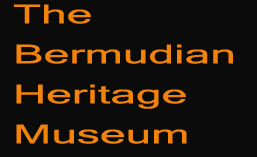 By 1994 Carlyle served as Chairman and by 1996 the President of the Bermuda Branch of the Royal Artillery Association. In 1977 while a divisional Officer, he received the honour as a member of the Civil Division during the Silver Jubilee receiving the MBE. Carlyle served as Secretary of the ExArtillerymen’s Association in 1962 and in 1972 was Chairman of the same organization.He remained in Government service, working as an officer of the Her Majesty’s Prison Service. It was eventually renamed the Department of Corrections in 2002.